Sun Valley Resort has the distinction of being America's first destination ski resort. Sun Valley Resort is the original ski resort in the United States. In 1936, the area was the culmination of a dream to bring the excitement and wonder of European ski resorts to the United States. The Lodge at Sun Valley was built in 1936 and quickly became the place to be. Frequented by Hollywood elite, in the beginning, the Sun Valley Resort has now become a family vacation destination. In addition to world class skiing, there are a myriad of services and amenities offered by the Sun Valley Resort: The Lodge Dining Room, Gretchen's, the Duchin Lounge, Sun Valley Salon & Day Spa, massage center, sauna and heated swimming pool, workout facility, bowling alley, game room, room service and gift shop. Sun Valley is the ski resort! 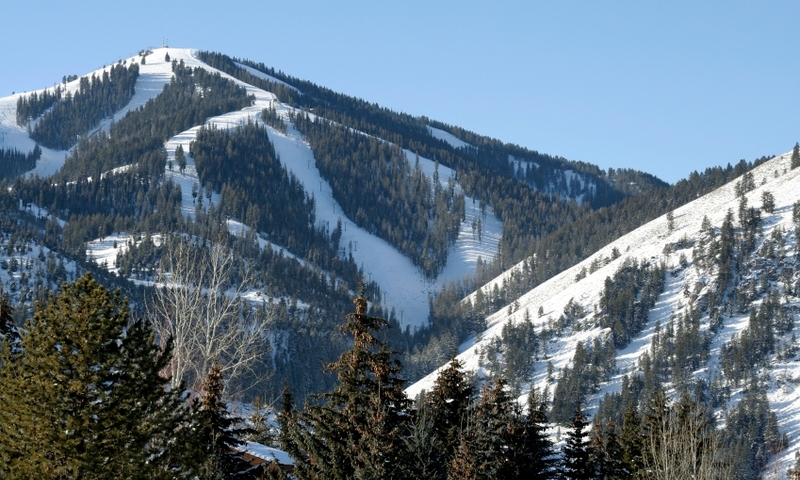 Dollar Mountain known as the beginner’s hill is located but ½ mile south of the Sun Valley Lodge. Bald Mountain, the world class ski hill for more experienced skiers can be found adjacent to Ketchum, only 1 ½ miles west of Sun Valley Lodge. Mountain Rides provides free shuttle service to all amenities in Sun Valley and Ketchum and to the base of both Dollar Mountain and Bald Mountain. The day lodge located at the base of the mountain is also the location of the Sun Valley Ski and Snowboard School. Here you will find qualified instructors, rental services and a repair shop. Sun Valley has nearly 250 certified ski instructors. Carol’s Dollar Mountain Lodge offers hot chocolate and cafeteria style meals. Day Lodges and Restaurants include River Run Day Lodge, Warm Springs Day Lodge, Seattle Ridge Day Lodge, Lookout Restaurant, and the Roundhouse. Rentals and Repairs are available at the base of the Mountains at various suppliers on the Warm Springs side of the Mountains. Ski Resort information for Mount Bachelor, in Central Oregon.